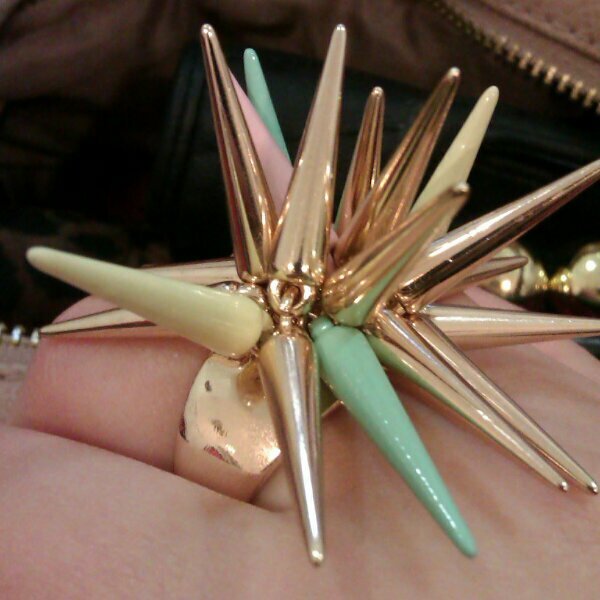 Safe to say that T is devastated by yet another lethal weapon chunky ring with sharp bits, I on the other am in love! C'mon folks, tell me I'm not the only one MASSIVELY struggling with this whole girl/female/pastels thing? Pastels is one of those things I really WANT to like and WANT to work, but it just leaves me a bit ... lost. That is one funky ring! 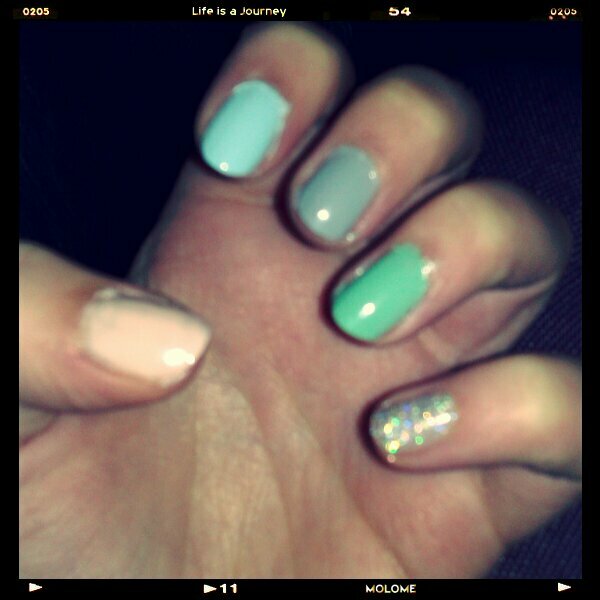 I'm not a big pastels fan, don't often go with my rocky look! Thanks I'm a bit in love with my ring too. I'm definitely a fan of richer colours, and although I'm not pale so much as mildly olive skinned, pastels really wash me out too, but the nails and ring are far away from enough skin to stop that. Thank you, it's my new baby! This, and shoes are the only way I think it's going to work for me. Thanks. I think pastels can work with a harder look, adding a bit of fun or unexpected elements, but they're a bit alien if you're not used to them. 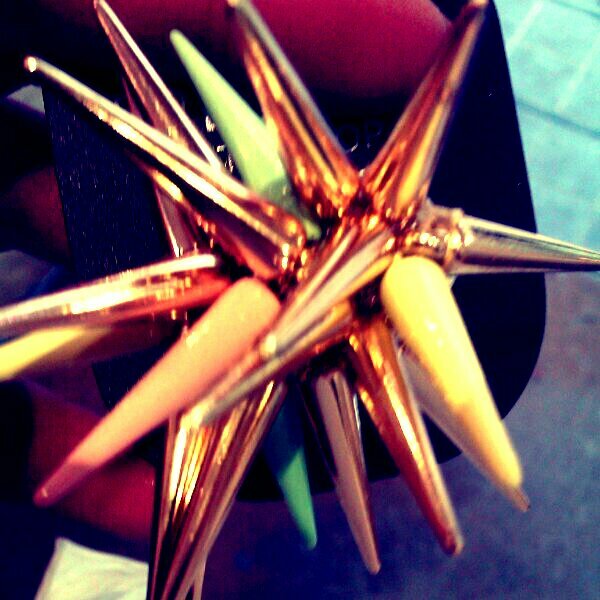 I like pastels but they will never replace jewel colours as my one true love! I love jewel colours too, and I have a love of grey tones mixed with neutrals too. I'm hoping the pastels will be a flash in the pan! Thanks. Have THE best time Winnie, really hope to see plenty of HK and your adventures. Have a safe trip.